If you've been in a car wreck involving a taxi cab, a few things need to be sorted out. First and foremost, you'll need to determine who caused the wreck. This can be a challenge, especially if different parties give different accounts of the accident. If neither party wants to admit fault, I'd advise you to consult with your accident attorney. You were hurt as a motorist who's vehicle was hit by a reckless taxi driver (particularly a taxi driver who was breaking a law, like speeding or running a red light). Being injured in a traffic collision often means you'll face expensive medical bills, you’ll be forced to take time off work, you'll feel stressed, confused, overwhelmed and wronged. The positive news is that Texas law gives you the right to pursue compensation for your damages by filing a claim against the at-fault driver. There are dozens of taxi cab companies operating in the Dallas-Fort Worth area: Cowboy Cabs, Checker Cab Company, King Cab Company, Star Cab, Super Shuttle, and Yellow Cabs to name a few. Different taxi drivers have different types of relationships with cab companies. In some situations, the cab driver is renting the taxi from the company. In that case, the terms of the contract might determine whether you make a claim against the cab driver or the cab company. In most cases, however, the taxi driver is a direct employee of the cab company, and the cab company’s insurance is responsible for covering accident costs. Unfortunately, taxi companies routinely fight claims against them. No cab company wants to spend money on your medical bills after an accident, and they'll do whatever they can to refuse some (or all) of the blame for the wreck. If your medical bills are high and the cab company doesn't want to take responsibility, this can put you in serious trouble. I'd advise consulting with your accident attorney to talk through the next steps. If the taxi company fights the claim, it means that you could also be required to make a claim against your own insurance company if you carry personal injury protection (PIP) or underinsured motorist coverage (UIM). As an occupant of a motor vehicle involved in a traffic collision, you have the legal right in Texas to make a claim for compensation to cover the cost of your accident-related medical bills, loss of income, and various other costs related to your injuries (many of which you won’t immediately be aware of, but which could seriously impact your life down the road). This also applies if you were the driver or a passenger of another car which was involved in a car wreck where a taxi driver was at fault. This means that if the taxi driver was even partially at fault, you have a legal right to make a claim for compensation against them and their employer. Obviously, with so many taxi companies operating throughout the DFW and North Texas area, the exact situation is going to vary depending on the taxi service in question. 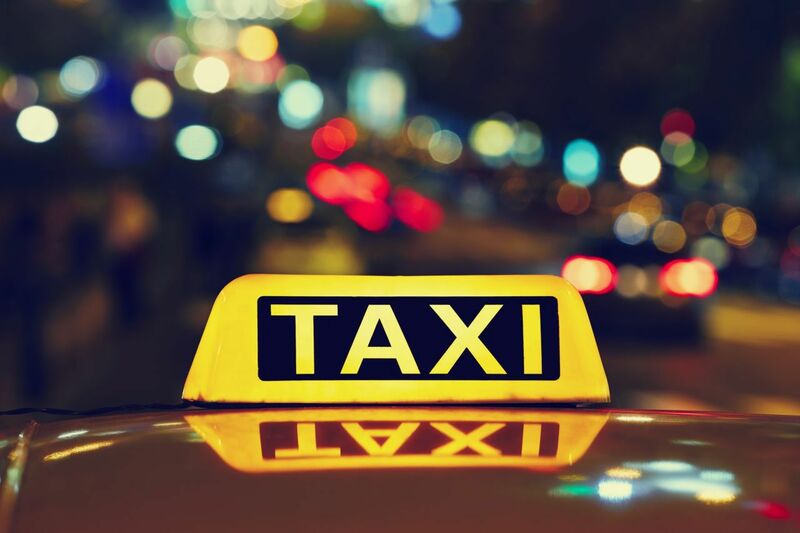 Because there are so many factors in car wrecks involving taxis and cabs, there are a lot of options your lawyer must examine in order to ensure you get the best possible outcome from your case. To that end, you should work with an accident and injury attorney who is accustomed to dealing with all of these loose ends; someone who knows how taxi and cab accidents work and what to look for when seeking the best possible recovery for you. Injured in a Taxi Wreck? Contact Our Law Firm! Being in a car accident can be painful, confusing, and frustrating time, which is why we take care of the entire legal process surrounding a case. At the Anderson Law Firm we are accustomed to dealing with these and many other types of car accidents. We have handled many cases against cab and taxi companies in the past. If you have any questions about taxi and cab accidents please call us toll free at 817-717-4731 for a free consultation. Remember, you do not have to be stuck paying medical bills because of someone else's wrongdoing. Contact our law firm today, and let us handle the hard work for you. I was a passenger in a car and the driver of that car was at fault - can I make a claim? Will I have to go to court if I hire a lawyer?